Norma Bernadine Cicciarelli, 96, of Rimersburg, PA, passed away Friday, January 11, 2019, at her home. She was born April 7, 1922, in Donegal Twp., Butler Co., PA, the daughter of Norman Line Mortimer and Julia Ireta (Double) Mortimer. 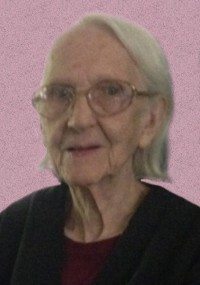 Bernadine graduated from Rimersburg High School in 1940 and attended Duff's Business School in Kittanning. Along with her husband, Adam, she owned and operated Riphco (Rimersburg Plumbing and Heating Company) for many years, which is still a local family-owned business today. She was a member of St. Richard's Roman Catholic Church where she belonged to the Rosary Society and worked for many church functions. Bernadine was an avid reader and enjoyed working on jigsaw and crossword puzzles. Organic gardening was one of her favorite hobbies and she was also a gifted quilter. Bernadine was a hard worker who never complained. As a child of the Great Depression, she was very frugal with her own possessions but was exceedingly generous when it came to the needs of others. Bernadine leaves behind to cherish her memory her sons, James Cicciarelli and wife, Margaret, of Rimersburg, Alan Cicciarelli, of Rimersburg, Eric Cicciarelli, of Rimersburg, Lee Cicciarelli and wife, Sandy, of Rimersburg, and Chris Cicciarelli and wife, Patty, of New Bethlehem; daughters, Elissa Litsch and husband, Cliff, of St. Louis, MO, and Elaine Cicciarelli, of Rimersburg; grandchildren, Tina Morgan and husband, David, Jamie Cicciarelli and wife, Jodi, Lance Cicciarelli and wife, Lanette, Erica Cicciarelli, Liza Rhode and husband, Nathan, Michelle Phillips and husband, Bryan, Denys Joliff and husband, Donnie, Bradley Cicciarelli and wife, Jamie, Monica Cicciarelli and husband, Eric Solzer, Maria Cicciarelli, Adam Cicciarelli, Alise Exley and husband, Jason, and Ian Cicciarelli; 17 great-grandchildren; brothers, Richard Mortimer, of Tionesta, and Ronald Mortimer, of New Bedford; and sister, Sally McCanna, of Rimersburg. She was preceded in death by her parents; loving husband, Adam Carl Cicciarelli; son, Jon Cicciarelli; brother, Jim Mortimer; and sisters, Dorothy Holly and Mary McNaughton. A memorial service in Bernadine's honor will be held at a later date. Contributions can be made in Bernadine's honor to Eccles-Lesher Memorial Library, PO Box 359, Rimersburg, PA 16248.